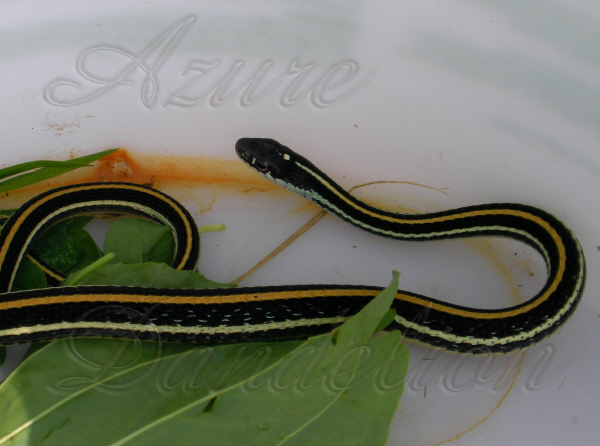 This fellow was slithering through the grass as I was mowing the lawn. We put him in a bucket and relocated him to the field so he wouldn’t get hurt. 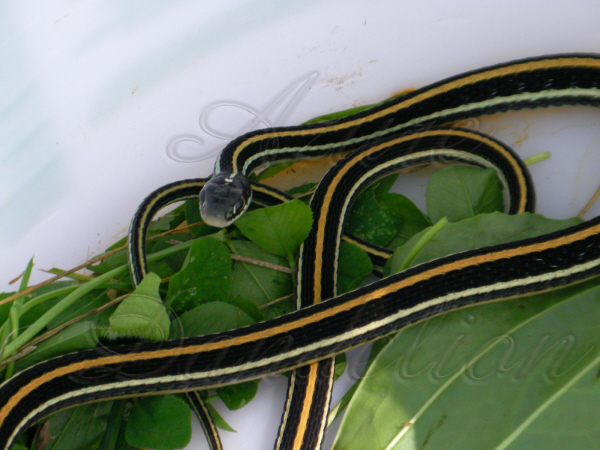 Garter Snakes are pretty much harmless. 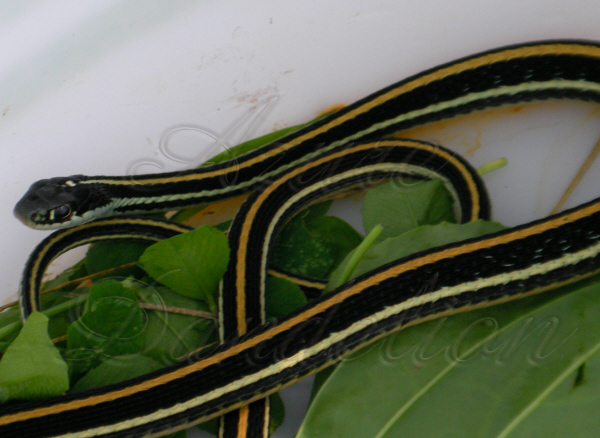 When we come across a Black Snake we take it futher away because it will get into the birdhouses and pens of farm fowl. They take eggs and chicks.